The Chumash Environmental Office has implemented several energy projects that reduce greenhouse gas emissions. We are utilizing alternative energy technologies for use on governmental buildings, improving energy efficiency for community residents and offering job training in this growing sector. The most effective solution to reducing greenhouse gas emissions in buildings is to reduce energy use. SYCEO assessed building operations, systems, and performance to make sure that residences and tribal buildings were operating at their best, resulting in utility savings and healthier indoor environments. 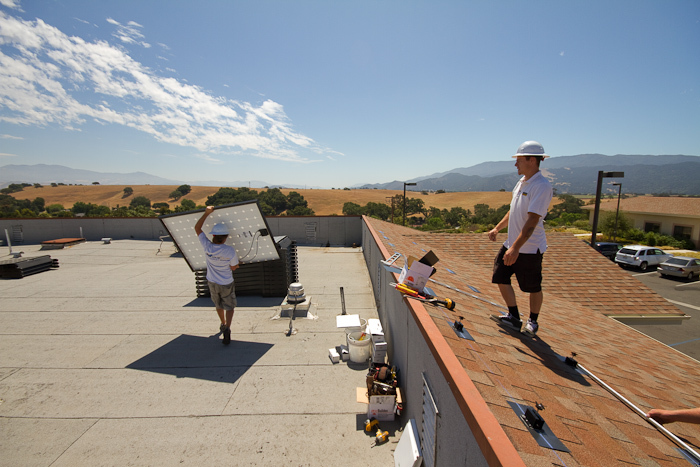 The SYCEO Community Energy Program offered local job training, certification, and paid apprenticeships in building performance and solar installation work. In addition, this program provided discount energy efficiency retrofits and solar installations for eligible tribal community homeowners, both on- and off-reservation. This project was funded by the EPA’s Climate Showcase Communities grant program.